We are a leading and established manufacturer and exporter of Commercial / Industrial / High Efficiency Air Curtains with Side Mounted FLP And Non FLP Motors. Established in the year 1990 at Ahmedabad (Gujarat, India), we “Acme Environment Control Systems” aremanufacturer and exporter of Commercial Air Curtain, Industrial Air Curtain and High Efficiency Air Curtains With Side Mounted FLP And Non FLP Motors. 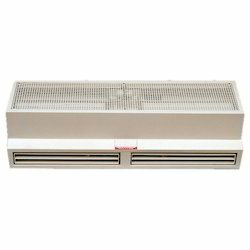 These air curtains offered by us are aerodynamically designed air blowers good for generating a laminar stream of air draft with sufficient quantity (cfm) and speeds (velocity) to offer the desired environment protection through open doorways / service hatches. Generally, these are installed at top of the opening to give a vertical air draft all across the opening, from top to bottom. For meeting the any specific customized requirements of our clients, we can offer products to meet there specific requirement. Our offered products are widely in demand in industries like Cold Storage & logistics, Dairies, Fertiliser Plant, Petrochemical Complexes, Food Processing and Packing plants, Hospitals, Hotels, Restaurants, Fast Food Joints and Clubs, Pharmaceutical Companies, Bulk Drugs Manufacturers and Laboratories, Yarn and Textile Factories. 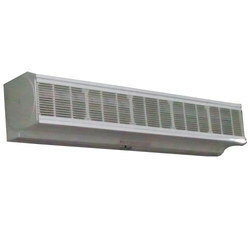 All Acme air curtains are custom made from best quality raw materials. 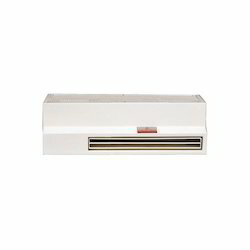 Our air curtains are manufactured by well trained team members with years of air curtain designing & manufacturing experience. 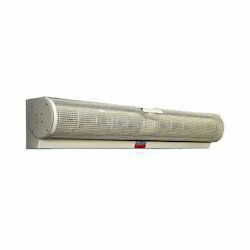 Each Acme air curtain is produced with concern to provide end user unmatched experience of effective & trouble free functioning long beyond the warranty period. Buying an Acme air curtain is value for money. Our units are stringently tested for air draft parameters, motor functioning and anti corrosive coatings in particular & overall workmanship in general. All our units are covered by unconditional warranty against any manufacturing defects for our buyers. Further, details on this may be requested from our sales team. • We deliver what we commit. • We believe in ethical business practices.